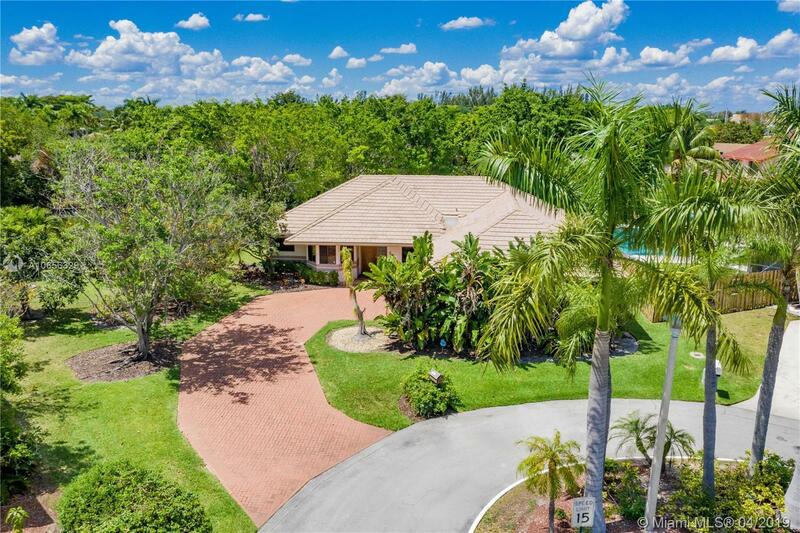 Glorious 3/2 pool home on a HUGE pie-shaped lot in a gated development. Dramatic pool views from living, dining, family and master bedrooms. Tons of windows make this home bright and open. Saltillo tile and high-end Berber carpet flooring - this home has been so well cared for by it's original owners. With all that, it's the outdoor space that really takes this home to another level. Situated on an almost 15k sf lot, on a serene canal, skirted with lush greenery, you won't want to come inside. All of your family photos will be staged on "the rock" - come see. If you have pets, they will be in heaven. You could literately build a tennis court on the side yard. Quiet, family friendly, secure, serene, lush, inviting, close to everything - this is why we live in Florida.